I do like jak and daxter but you should go with what ever you have fun making. Come to think of it, it's been a while since I did a Minion/Rabbids entry and this topic as of late is starting to feel a bit doom and gloom. Might as well put in a few of the Lurker entries from Precursor Legacy to brighten it up. Now how do I avoid getting killed during that whole Hellcat mission.....? Well, finished THAT mission and oh boy was that an effort and a half. Time enough to get onto the next installment with a representative of the X-Com franchise; the Muton Elite. 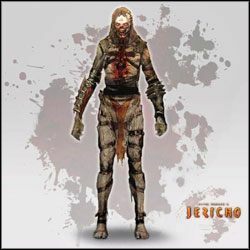 Next up, for the Jericho franchise, we have the Grenadier. A twisted and deformed abomination of two Gerhimasvall Abwermacht soldiers fused into one, the Grenadiers are massive creatures corrupted by the First Born and the Pyxis as a kind of mobile artillery unit against hostile and entrenched enemy forces. When such forces come into close quarters range, the Grenadiers are able to defend themselves with a massive axe-like blade at the expense of their right forearm. Finally, to round out this installment, from the Crysis franchise we have the Ceph Heavy. Though given the official designation of Charybdis, these alien creatures are more commonly known as Ceph due to their anatomical resemblance to cephalopods. An ancient extra-galactic species, the Ceph originate from the Triangulum Galaxy whose advanced nanotech-based technology and hive intelligence have allowed them to fully colonize not only their home galaxy, but also neighboring galaxies via incursions such as the Milky Way Galaxy through their rapid adaptation and reaction to the local planetary environment. 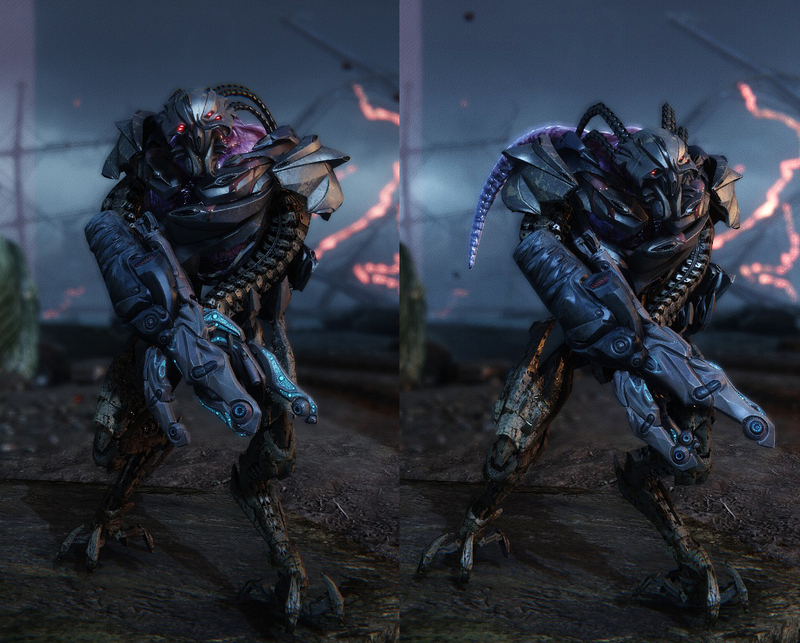 Commonly called “Heavies”, the Ceph Devastator Units are among the largest and heaviest of the Stage 2 Ceph Infantry for their invasion/colonization of a suitable planet and perfectly adapted to that particular biosphere largely through the assimilation of infected flesh by the aboriginal sapient species of said planet. 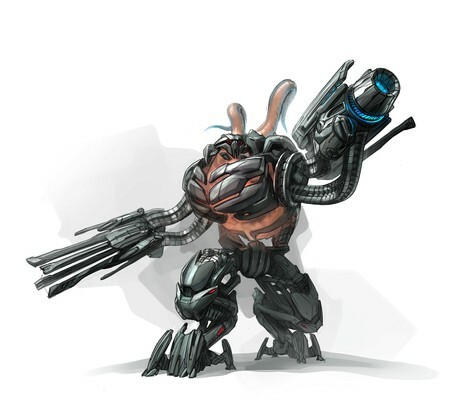 The Ceph Devastator Units often serve as a support role such as heavy weapons and suppressive fire. As such, the Ceph Devastator Unit’s exoskeleton, which allows for greater, movement under a higher gravity upon terrestrial environment, is heavily armored that protect it from all but the most powerful of anti-material weaponry such as rockets and missiles. Their only weakness, a trait shared amongst many other Stage 2 Ceph, is the unarmored portion of their neck and upper back region where their true biological forms are the most vulnerable. And that should be it for this installment. So until next time, do anyone feel comfortable with the idea of using these NPC mooks for their own campaigns or do they need some corrective tweaks? EDIT: OH! I almost forgot to mention. For those of you who are interested in turning X-Com into a DnD campaign, well, there's a video on how to do that. Well I think there's been enough time for anyone who has any corrective suggestions to say anything, time to move on and look! It's my birthday today! But enough about me, let's start this installment with a representative of the X-Com franchise; the Outsider. An alien construct, the Outsiders are synthetic humanoid beings constructed of manifested “Energy Matter” largely utilized as mobile long-distance communication units for psionic individuals to help coordinate the alien invasion. 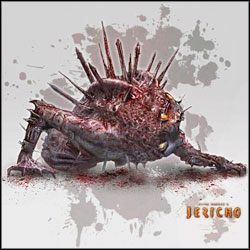 Next up, for the Jericho franchise, we have the Corpses Behemoth. An effect of the dead-laden Earth that have been snatched from reality by The Pyxis, the mass graves of the wretched were used as raw material to form the corporeal manifestations of the horrors that have brought about the nightmares that allowed the Breach to be opened. Driven by primary impulses, the Corpses Behemoth will attack any invaders to their territory, living or dead. And to round out this installment, from the Crysis franchise, we have the Ceph Stalker. Commonly called “Stalkers”, the Ceph Shock Units are among the most numerous of the Stage 2 Ceph for their invasion/colonization of a suitable planet and perfectly adapted to that particular biosphere largely through the assimilation of infected flesh by the aboriginal sapient species of said planet. Utilizing a specialized exo-skeleton to allow for greater movement under a higher gravity upon terrestrial environment, the Ceph Shock Units serve as forward scouts of the Stage 2 Ceph military. Though not as heavily armed nor armored as their Ceph Combat Unit brethren, these intimidating extragalactic beings are extremely fast and agile. Their only weakness, a trait shared amongst many other Stage 2 Ceph, is the unarmored portion of their neck and upper back region where their true biological forms are the most vulnerable. Do you think you could make some stats for titans from AoT? I have been getting back into to it again and I was thinking it would be cool to see them get stated. Well there's alot of variety in terms of Titans, though I can only assume that they're largely categorized into Size Classes (which is easily done via Awkward Size in relation to Scaled Advantage) and Standards vs. Abnormals. Otherwise the Abilities and Weaknesses are virtually similar. Still, I might pull up something. Well here's my contribution to Attack on Titan and it's mostly on the more generic Titans. Gigantic beings of impossible size and power, the humanoid Titans mysteriously appeared suddenly over a century ago. Since then, precious few are known of the Titans such as their instinct to devour human beings, inactivity after sunset, and the nape of their neck being the only known way to effectively kill them off. Though there are many variations of Titans, they can be classified as either typical or abnormal with further subdivisions based upon their general size; 5 meter, 7 meter, and 15 meter scales. 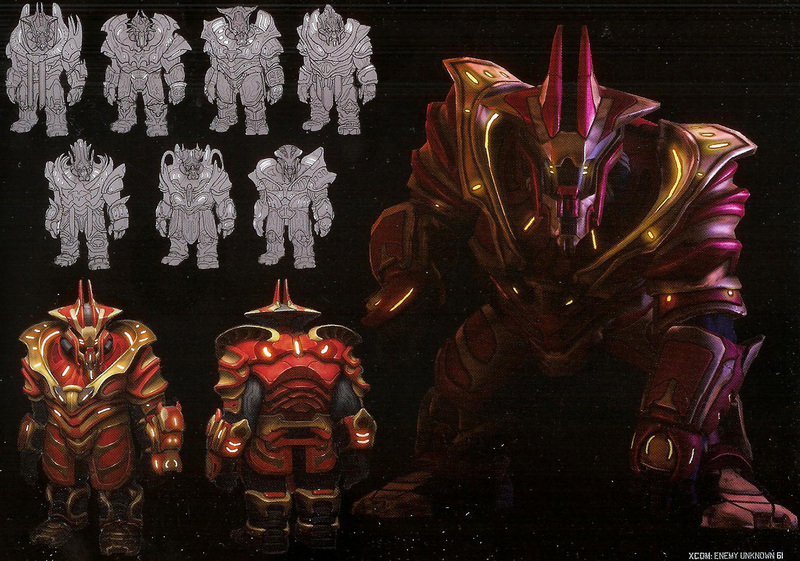 At the very least, it should be a good jumping off point for more refined conversions and designs. Welcome, it should allow some wiggle room for Titan Shifters, or even more memorable Titans for a campaign. Well, despite the period in between installments, there have been no corrective suggestions to the previous entries, so let's start with another batch then. Now, for the X-Com franchise, we have one of the "boss" enemies known as the Sectoid Commander. Though largely similar to the average Sectoid, the Sectoid Commander is in fact a very power psychic in that it is able to take over the minds of hostile units and turn them against their comrades. Thus, the Sectoid Commander is a threat that must be taken out quickly or else human infantry will be felled by their own hand. Next up, for the Jericho franchise, we have the Warrior Crusader. The crusaders that have slowly lost their minds to the influence of the Pyxis and corrupted to serve the First Born after being trapped in the new reality, the Warrior Crusaders have become religiously fanatic and will attack anything and anyone they perceive to be an infidel, such as each other. With each death, the Warrior Crusaders became less human and more beastly, and even replaced their limbs with bladed weaponry such as a hook for mid-ranged attacks, dart launchers for long-ranged attacks, and circular axes for close quarters attacks in addition to shield them from the bullets of more advanced foes that found themselves unfortunate to be within the Pyxis. And lastly, to round out this installment, from the Crysis franchise we have the Ceph Reaver. Commonly called “Reavers”, the Ceph Assault Unit is one of many specialized variations of the Stage 2 Ceph for their invasion/colonization of a suitable planet and perfectly adapted to that particular biosphere largely through the assimilation of infected flesh by the aboriginal sapient species of said planet. Utilizing a specialized exo-skeleton to allow for greater movement under a higher gravity upon terrestrial environment, the Ceph Combat Units serve as the main line infantry of the Stage 2 Ceph military. Though not as fast nor as agile as their Ceph Assault Unit brethren, these towering extragalactic beings are heavily armed and armored for their role as shock infantry to charge straight towards enemy emplacements and overwhelm with close-ranged firepower. Their only weakness, a trait shared amongst many other Stage 2 Ceph, is the unarmored portion of their neck and upper back region where their true biological forms are the most vulnerable.